One of the biggest mysteries in hair extension industry is the origin of Brazilian hair weaves. The big question is, where do all these hair extensions that get imported into Africa comes from? Truth be told most of the hair imported to Africa comes from Chinese based Brazilian Hair Factories. China is a very big player in the human hair industry. There are large volumes of natural human hair being imported into Africa every year. The main reason the hair industry is flourishing in Africa is due to the high demand from people, predominantly women who want the very best quality hair extensions. These hair extension can be obtained by simply ordering your hair online, many people are skeptical about purchasing online as there are many scams on the online market, but with that being said there are many trustworthy online Brazilian Hair companies on alibaba.com. You just need to learn how to find the best companies. These hair extension can be bought by simply ordering it online through alibaba.com or aliexpress.com. Look for potential hair providers on Alibaba or Aliexpress. It is very important to look for good reviews as this will inform you if this supplier is offering good quality hair. Order a sample from the supplier. 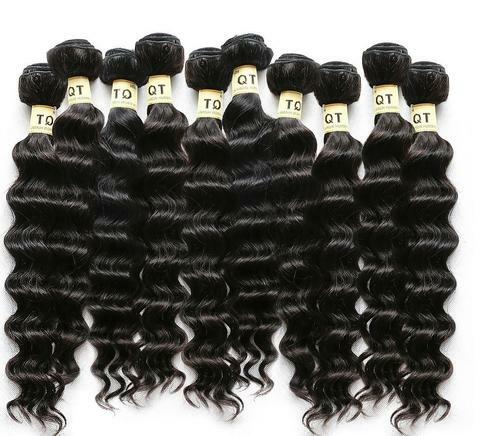 It is important because this will allow you to check on the quality of the Brazilian Hair before ordering in bulk. Be wary of companies that won’t send a sample. Test the sample. When you receive your sample, you can test your hair to find out if it is natural hair extensions as the company advertised. There are lots of fakes in China but there are also a lot of genuine original hair suppliers that offer quality hair extensions. Testing a sample of the hair will help you separate the fakes from the real deal. Follow this link to learn how to test your hair extensions. Buy in bulk. If the hair is high quality, place your order with the supplier. Line up a few potential buyers before so that you know you can sell your hair as soon as it lands. A distributor must have good quality hair as they have advertised. Their wholesale prices need to be reasonable in order for you to make a profit. The distributor must be able to offer quick and efficient communication. They should offer a fast delivery service with no damaged goods. Once you have high quality hair it’s time to find buyers. If you like what you read, please share this article by clicking one of the social icons on your screen, or leave a comment below. It’s literally the only way these articles get out there.